I'd hoped to quickly quilt the CSIUBQ on Tuesday but life intervened in the form of getting the oil changed, the car winterized and various other errands. The perks of being your own boss. 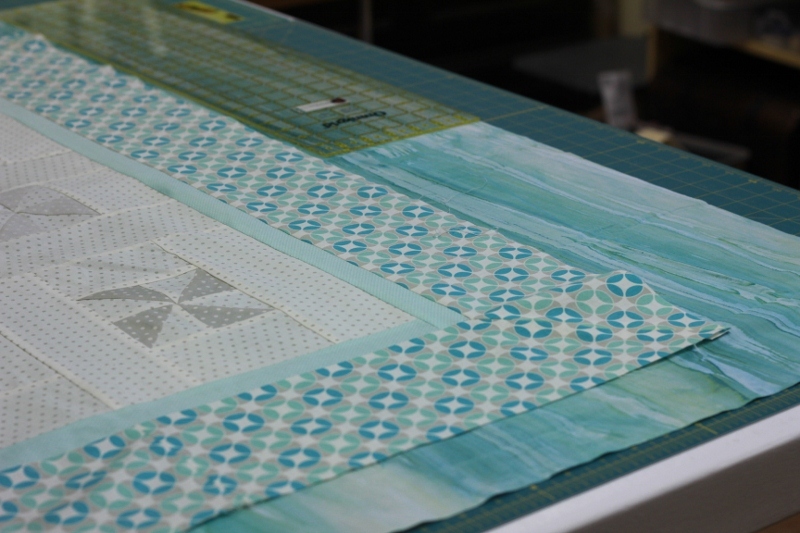 I also spent part of the day working on the binding and after I'd made enough for the quilt, decided I didn't like it. 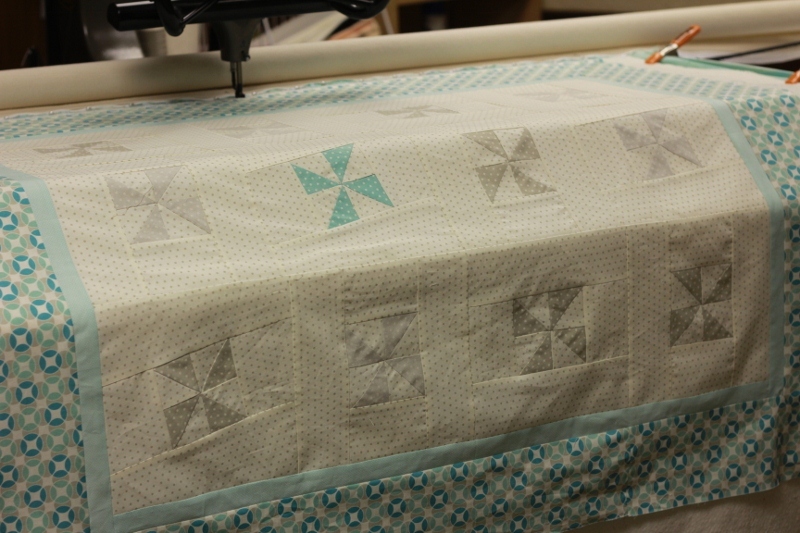 I liked the "concept" of that particular fabric for this particular quilt, but experience has convinced me that, when the concept and the colors are having a fistfight, go with the colors. 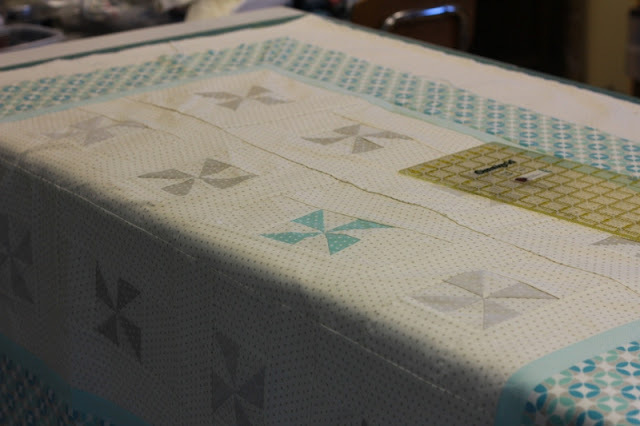 No one really wants to get all intellectual and conceptual about a baby quilt, anyway. It's about love, not a discussion of social mores and conventions or other high brow stuff. Save that for a Tee-shirt quilt. Long story short, it was late Tuesday afternoon before I came up for air and got out to the studio. The good news is that I quickly found some fabric I liked for the backing. 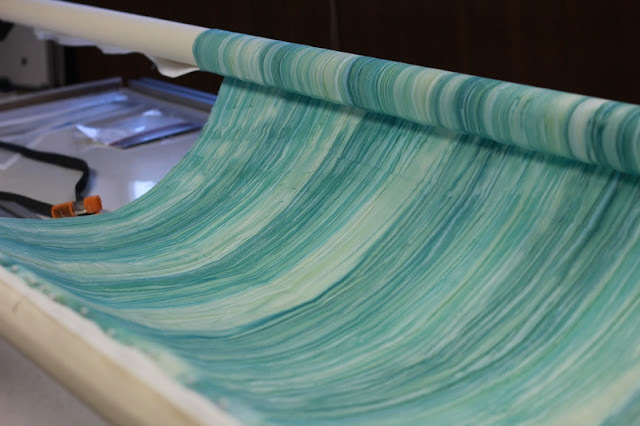 Looks like cascading water, to me. Maybe it will make the baby feel sleepy, eh? Or wet the bed, dunno. 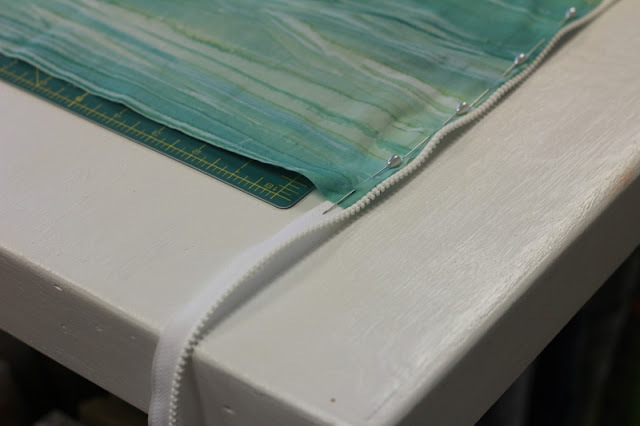 To make life easier, I use zippers on the quilts. 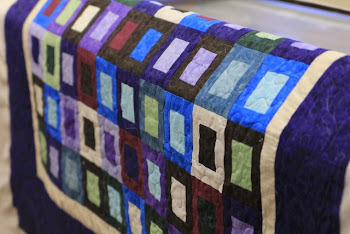 When you have a small quilt like this (it is 39 by 48 inches square, unfinished), a yard and 5/8ths of backing can do it without piecing - under perfect circumstances. It only left me with 2.5 inches per side on the narrow length and normally I need four per side if it is someone else's quilt. 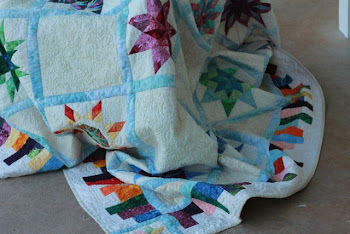 You just have to be sure there is enough, especially if the quilt isn't completely square. 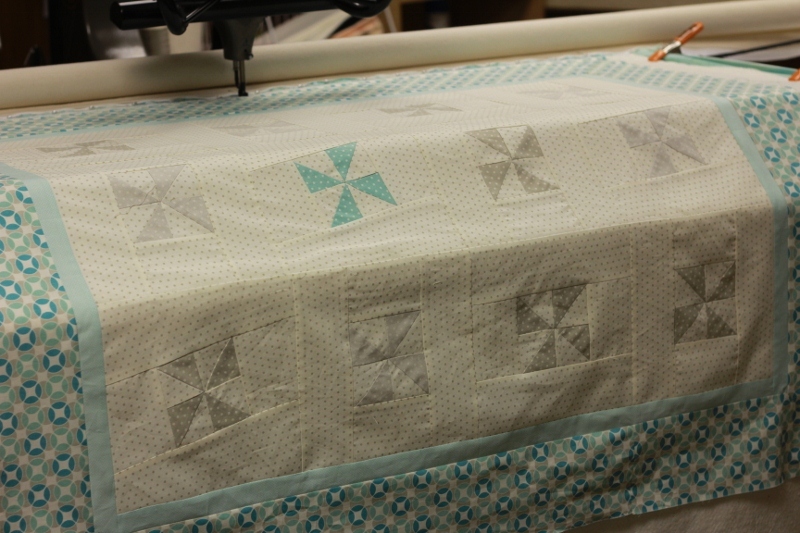 The last thing you want to happen is to get to the end of the quilt and run out of backing and if the quilt isn't square, you've got a big problem on your hands. 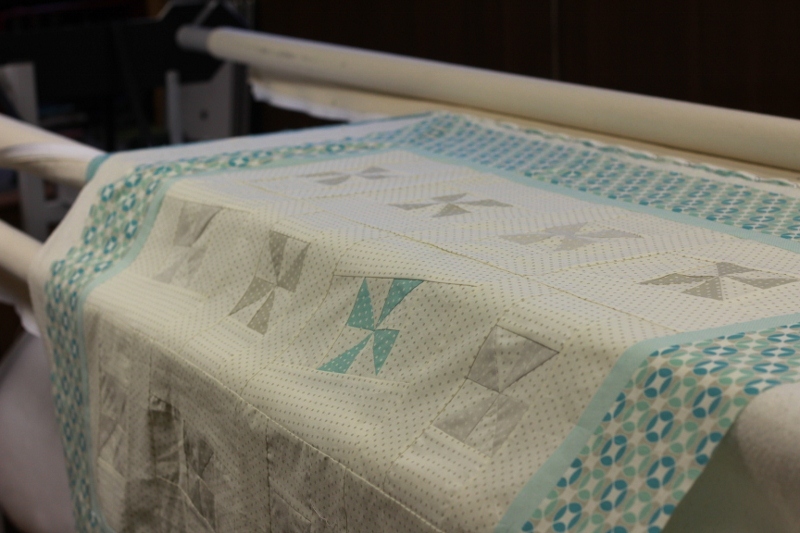 You'd be looking at about 50 hours of frog stitching for a full sized quilt just to start over from scratch. Ask me how I know. Ugh. 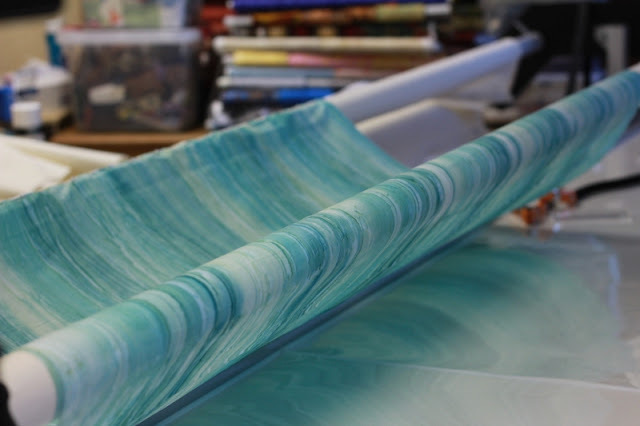 But for this one, since I knew it was square and because it is so small (and it is mine so if I screw it up, I haven't harmed anyone), I believe I can just use about two inches along the top and that gives me 3.0 inches along the bottom. I wouldn't do this for someone who hired me - too risky. 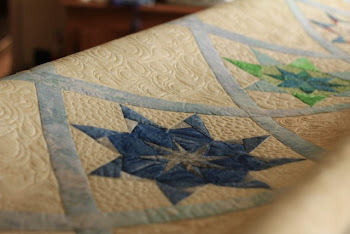 And I sure wouldn't risk it on a quilt that was much larger. I'm not crazy or masochistic, either. I currently have three types of batting out in the studio - a light polyester, an 80% cotton and the tail end of some warm and natural I bought years ago. I ended up going with the warm and natural because I personally like the feel - and I was using up the roll. Note to self: If you are making a quilt with a particular block that is going to draw attention - you might want to take special care to make it perfect. I would have worked into the night and finished quilting it except 1) my husband is out of town and I didn't want to be out in the studio that late; and 2) the outside barn lights both went out for some reason just hours before he left town (and had been doing some electrical work). I didn't want to have to walk in the dark from the studio to the house. 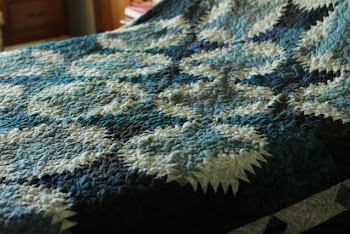 At any rate, I'd cleaned off the stray threads; cut the batting and backing; and just reached the point of getting the quilt loaded and the thread selected when I ran out of daylight. At that point, I called it a day. 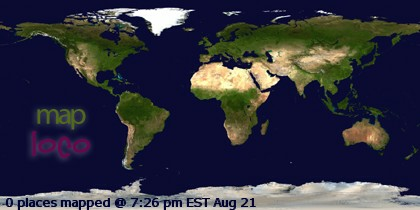 Wednesday and today have been too hectic to get back out to the studio for any length of time, and tomorrow is the same. 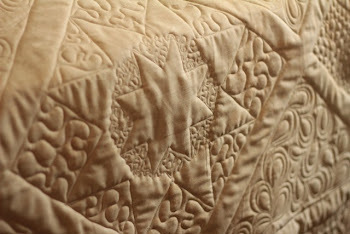 Hopefully, I will be able to get this quilted sometime early next week. I limit my swarm catching to an area roughly 25 miles from Mustang, Oklahoma (most of Canadian County, western and SW Oklahoma City, Tuttle, Newcastle, West Moore). 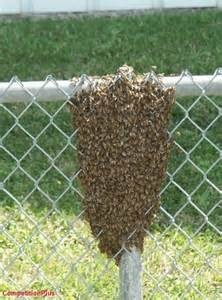 I only remove SWARMS - not an established colony that has taken up residence in a building or a tree (I'm not equipped to do that although there are experts who are). Please look at the photos of swarms I've included so you'll know what they look like - they are very distinctive. I do not capture swarms that have been sprayed with insecticides/pesticides. For obvious reasons, I limit my captures to swarms that are near enough to the ground that I can retrieve them, safely (with the help of a ladder, if needed). I only retrieve swarms on the property of the legal occupant and with their consent. 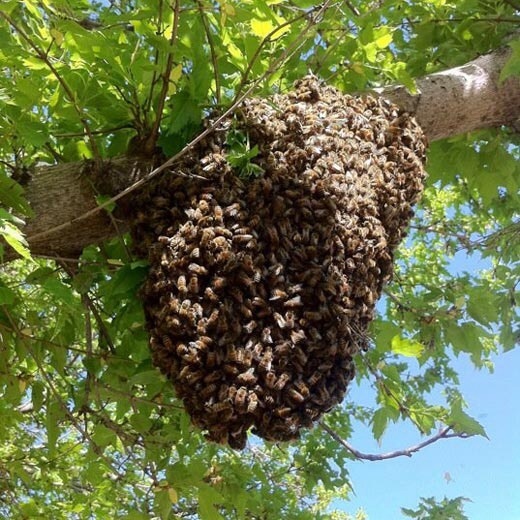 If you think you have a swarm, call or text me at 405 388-9604. I'll need to know the address; where it is located (tree, backyard, on a mailbox, etc. ); and roughly how high off the ground it is. If you can send a photo, that's fabulous. I usually don't charge for a straightforward swarm capture, assuming it is within the region described and the one needing the swarm captured meets me at the location at the agreed time. Honey Bees are important for pollination and I appreciate it very much when people try to rehome them rather than harm them. If I can assist you with your swarm, please feel free to contact me. A healthy honeybee colony consists of a queen, many workers and a few drones (males). A natural/healthy part of their life cycle is to build up abundant brood to the point where they outgrown their hive. In the spring/summer, the workers create a new queen from one of the old queen's eggs. Before it hatches, the old queen, along with roughly half of the hive, fill up with honey, leave the hive in search of a new home. They typically bolt from the hive, then land someplace (a tree, bush, car, etc.) where they huddle, with the queen in the middle for anywhere from an hour to a day to several days. During that time, the swarm sends out scout bees to find a new hive. Once they decide where they want to live, the swarm takes off and starts a new colony.